Great books for my Grandkids! I’m a grandpa and a speech pathologist. My grandchildren 4 and 3 years of age love these stories. I do too! This is not like that at all. The voice is different and there is zero animation. No interaction at, save for teaching vocabulary. Very sad and disappointed. I do not like this version of Just Grandma And Me at all!!! We bought the computer version many years ago for a child that was like a grandchild to us. We now have our own grandchildren and have been using the computer version with our granddaughter. I thought it would be nice to sit on the couch with her and let her touch the screen on my ipad and she could make the birds sing or the cow moo as many times as she wanted to!!! But not with this version! I'm not even going to let her know that I have it on my ipad! It's just like a story book.....all still pictures.....you can't interact with the story at all! I'm very much disappointed and would not have made the purchase if I had know! I don't guess we can get a refund???? Doesn't have the sound effects like on the computer version from the 90s. Can't click on things in the book and doesn't make sounds. I wish I could get my money back. I too was so excited to see this app that I didn't read the reviews. I loved the computer version and assumed, wrongly, that it was similar. Calling it an interactive book is stretching it - it reads to you and that is it. Back to searching for a truly interactive book. 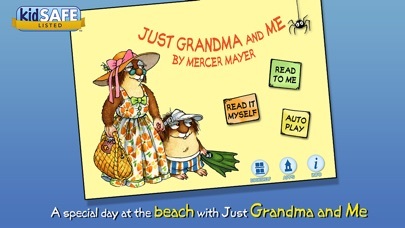 I love the broderbund interactive Living Books with Little Critter and was so excited to see them offer as an iPad app. NOPE! These are simply an ebook that will read you the story. No interaction what so ever. Ok i'd read the description of this app. And say it's different for the 90's version and doesn't have animation to keep the price "low", well the music, voice are not very nice and the only animation are the words. I don't like it I prefer the 90's version. And my baby didnt like it either. 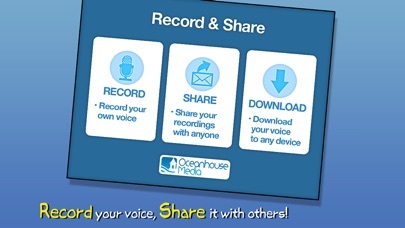 Oceanhouse did a great job making an App out of this classic book. The added game of finding all of the spiders and grasshoppers is fun too! HIGHLY recommended for young readers and nostalgic adults. 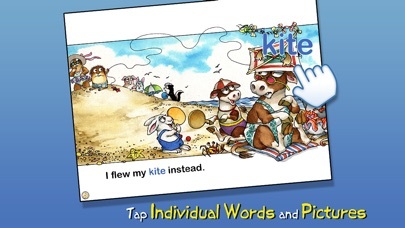 An excellent reading tool for beginning readers. You could make more money if you did right! If you ever had the cd story book then you will feel let down. I bought this feeling sure,that the program after so many years would have gone towards the side of better graphics more animations the things that were so endearing to the original. But no. This could and should have been done right! Maybe an upgrade to get it like the original would make me feel like I could suggest it to all the children's parents I work with. The original program worked on like an Old 2 MEG Mac LC! Sad so Sad. Apple gives you the iPhone and iPad and you give us a way to take our money. Do the program right or give to a company that can! I was so hoping that this would be like the Living Books computer games that came out in the 90s, but it wasn't. It's a fine ebook, but not at all what I hoped for. Too bad. Was very disappointed in this app. Having owned the original interactive version, and having watched my daughter enjoy it for so many years on the computer (finally wore it out) could not believe the "pale version" of the original that this app presents. Although the original pictures and artwork remain, this version is nothing more than flipping through a series of still pictures in a book. None of the charm or delight of being able to touch the screen and play interactively with various creatures in the story now remains. The creativity that went into the orginal was just amazing, and was what made it such a delight and so appealing to kids. This version has been gutted to nothing more than a series of still pictures. What a shame. The story is not even well read by the child narrator. Would not have bought it if I had sampled it first. Hope they decide to fix this. This has been a classic and much loved computer story in our family for so many years. Developers, please fix this so it can be a winner again and charm a new generation! Was hoping that it would be interactive like the original books that you could do on your computer. This was about 15 to 18 years ago. But you could click on things and they would react. For example the fence would move and give grandma a little poke and she would make a noise. You could click on varies objects and they would react. This does none of that. Just a plain old read along. 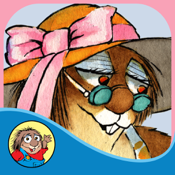 If you are disappointed in this App because it is not like the original computer version you should check out all the Wanderful interactive storybooks! These are the original Living Books brought back for the iPad. You will love them!! We had this program for our computer 20 years ago - a great program but... This version is okay but it is different. No more bees or signing fences. No snapping crabs or mooing beach guests. Just words popping out of objects. This is okay but a bad remake. They should have stayed true. I haven't experienced the original version that was mentioned in previous reviews, but my granddaughter and I both LOVED this one! The narrator is a child, it isn't too long and the illustrations are adorable (so I'll buy a couple more). I can even relax while the automatic story tells itself...a mini-vacation for grandma! It made me sad to purchase this book. I remember the living books from the nineties and was looking forward to sharing them with my son. Unfortunately, what we have here is a bad interpretation of the original. I guess i should have read the description first. While they imported the original reading of the book, all the animations and interactions were completely left out. This is nothing more than a "read-to-me" story book with absolutely no interactivity at all. This developer should be slapped for the lazy job done to this wonderful story. What a waste of my money. This version does not include any of the interactive animations of the original version that was done for the PC. When you click on objects in the story, it just says and shows the word for the object. In the original version, whenever you click on an object, the object animates in a fun way; i.e. the crab snaps his claws and scuttles away. It's really too bad this version does not include the animations! My kids grew up with original, and were SO disappointed when we bought this to show our little nieces and it didn't do what we expected. 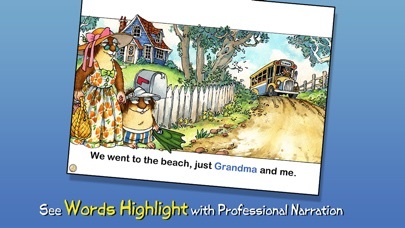 Just Grandma and Me was one of the numerous series of Living Books where it told the story but each page was filled with animated actions that were truly entertaining. Now you click on images and it tells you that Grandma is "grandma" and fence is "fence" Absolutely missed the incredible novelty of Living Books. I was so excited to find Grandma and Me in the apps store because I used the computer version first with my children and then with my grand kids. I thought it would be fun on the IPad, so I downloaded it. I can't tell you how disappointed I was with this program! What happened to all the animation! Why couldn't you just convert the original? You already had the program. I didn't mind paying money for this app because I thought it was the same story base! I am going to delete it even though I paid for it. I wish you could find a way to bring back the original. This version is extremely lame! 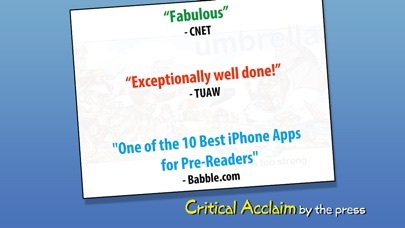 I agree with the other reviewers in that this version pales in comparison to the one we used to run on our Mac. There are some nice reading aids, but it is not nearly as interactive as the original. In the 90's I was an Apple Education Specialist and I took my Mac LC in a case to schools to Demo at Parent Teacher nights and guest reader assemblies the Mercer Mayer's "Just Grandma and Me" by Living Books and it was always the show Fav. When the Grandkids arrived I scoured computer shows and the Net to provide all the Grandkids the same experience on their computers. When I saw this was available for my iPad I was ecstatic and tapped my iTunes account to get a copy. Boy was I disappointed, the pages were there and the same voice was there but the interactivity and animations were GONE. Those features are what kept the children coming back over and over to read and interact with the book. My children even used the multi-language feature of the Living Books series to aid in their learning of Spanish. As others have commented, if the developer can't do it right or better let someone else have the license to replicate the look and feel of the Living Books series. It's not as if the iDevices aren't up to the task the Mac LC was a 16mhz 2MB computer with CD150 CD-Rom drive even a 16GB original iPad should be up to that task. Anxiously awaiting an update so I can use my iPad as Grandpa becomes a guest reader for the Grandkids in school. I was hoping for an equivalent of the original PC game which was a classic. A key element that made the original a classic was the animations/interaction and the endearing voice of critter. This app does not have them. I would happily pay more to see a full version with the animations. Reviews are too harsh. Best I've found in the iPad series. This may not stack well to the PC versions of yesteryear, but my 3 yr Son can't get enough of the Dr. Seuss and Little Critter books. In fact he prefers the Little Critter books, because he love to search for the spiders, mice and grasshoppers thru out the pages. I was looking forward to seeing the old pc version and sharing the experience with my daughter. I look forward to seeing the new and improved update soon. To anyone considering purchasing, I recommend holding out till then. the grasshopper chirps and the spider scratches! Okay I am a sucker for the find-the-grasshopper and find-the-spider aspect of this book. It adds a little extra fun to an already great story. Love the artwork, narration and sound effects as well. I wish I had read the review before I bought this. I too thought it was the interactive version and it is not. I felt that I was misled. The price for the book is okay. However, once exposed to the original and how fabulous the interactive component was, it is disappointing that with IT such as it is, it is not available. I would have easily paid $14.99 + for it, and so would many others! You would see generations purchasing this! Now, if we can just encourage Apple to quit with their incessant upgrades!!! Not like the original program at, it just presents like a book with none of the animations. Definitely not worth it if you liked the original cdrom for PC. In the future I will be googling more info on apps, this one felt like a bait and switch.